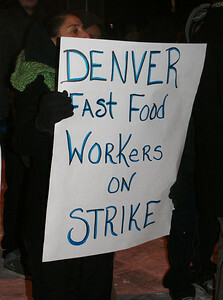 Fast food workers and supporters in Denver & Boulder joined a nationwide day of protest for better wages. 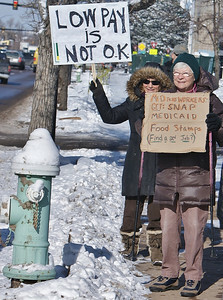 McDonalds was the target for protesters like this woman in Boulder, Colorado, on a day of demonstrations nationwide for better wages for fast food workers. 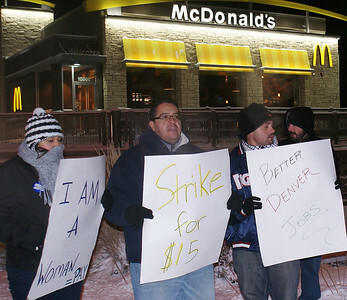 Fast food workers and supporters demonstrated for better wages inside a Denver area McDonalds. 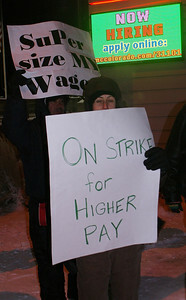 Higher pay for fast food workers was a demand of this woman and others demonstrating outside a Denver area McDonalds. 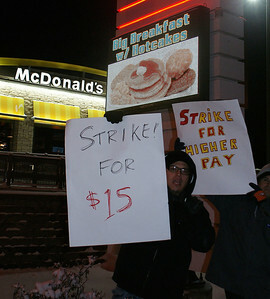 Striking fast food worker, outside a Denver area McDonalds was among over 50 people demonstrating for higher wages. 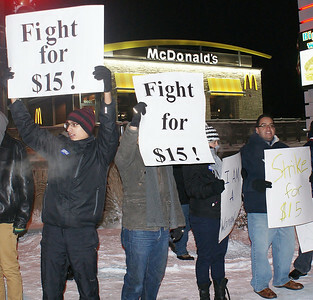 Fast food workers braved single digit temperatures, to demonstrate for higher wages, as well as equal pay for women workers, outside a Denver area McDonalds. 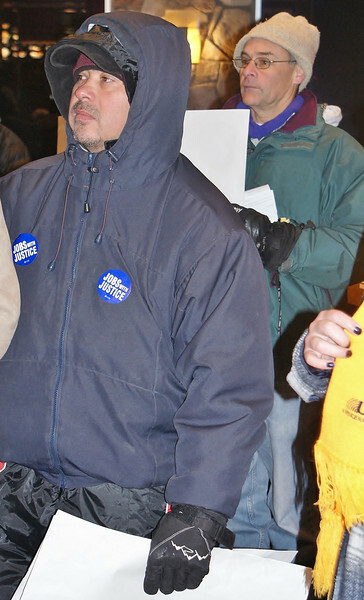 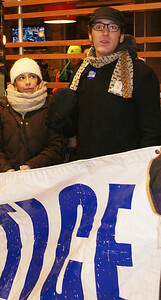 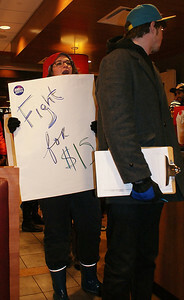 This Jobs With Justice supporter joins a protest for higher wages for fast food workers, in the frigid early morning hours, outsde a Denver area McDonalds. 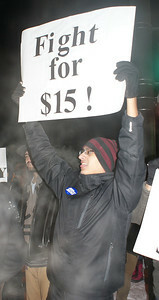 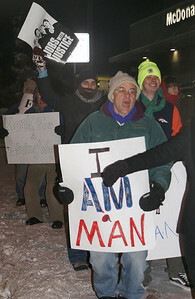 Marchers braved bitter cold to demonstrate for higher wages for fast food workers, outside a Denver area McDonalds. 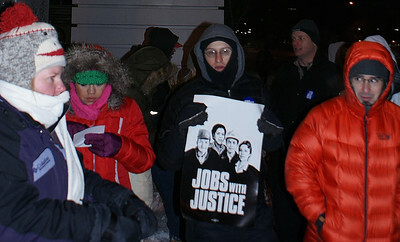 Single digit temperatures did not deter these Jobs With Justice supporters from calling for higher wages outside a Denver area McDonalds. 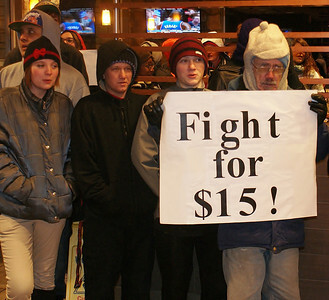 A $15 per hour wage was a demand of these protesters insdie a Denver area McDonalds. 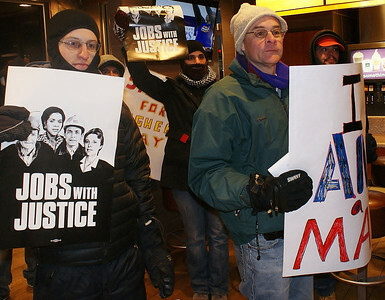 Jobs With Justice members took a protest for higher wages for fast food workers inside of a McDonalds restaurant in suburban Denver, Co. 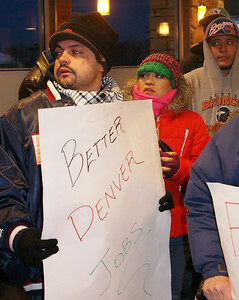 This McDonalds worker spoke out for better wages, at a demonstration inside a Denver area McDonalds. 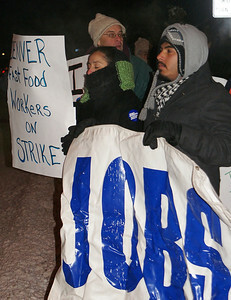 Demonstrators in Boulder Colorado braved temperatures in the single digits, to protest the low wages of fast food workers. 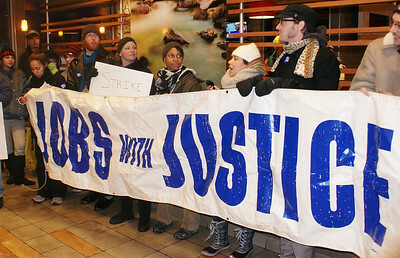 The protest was part of a national day of protests and strikes by fast food workers.